I have three pictures in an the exhibition ‘Still ALive’ at the Mall Galleries that opened this week. 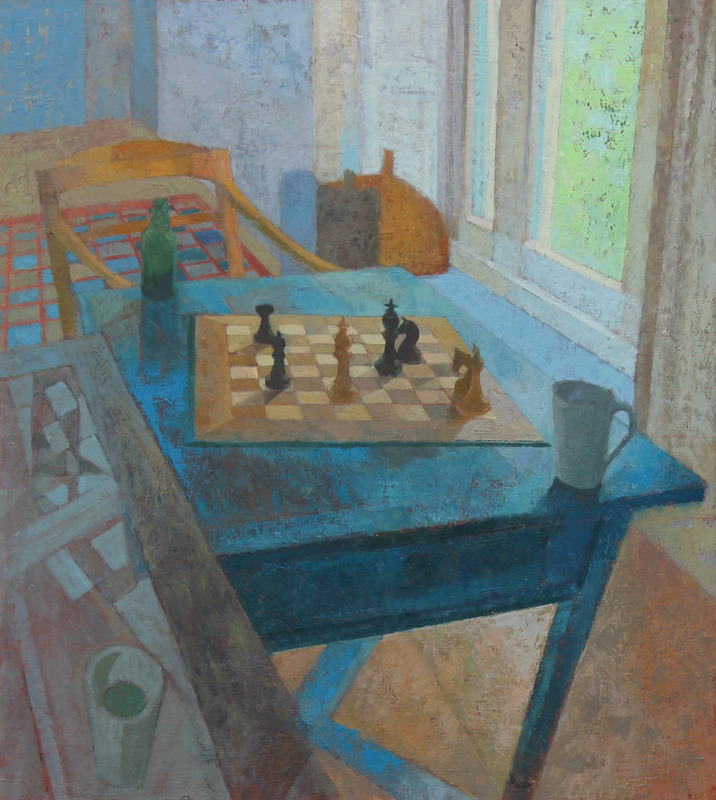 it is a small exhibition in the Threadneedle Space of twenty or so painters showing a very varied approach to the Still Life genre, and contains some real delights including a large Arthur Neal entitled ‘Studio’. 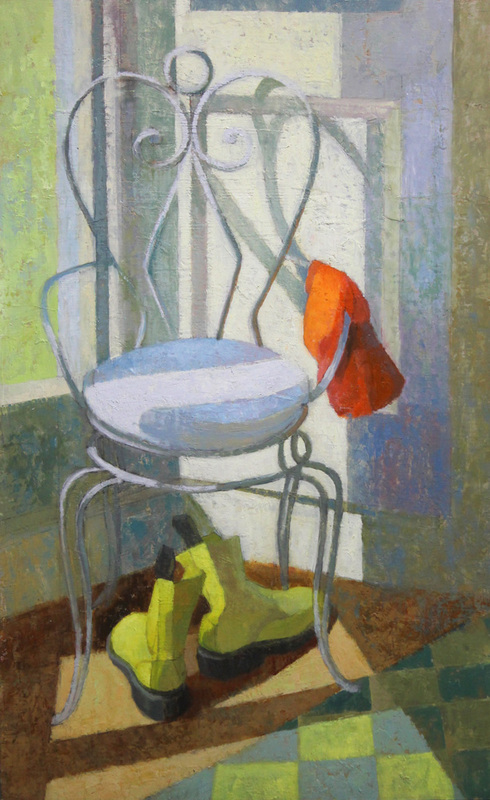 Each exhibitor had to write a short piece on why they paint Still Life paintings, my contribution is below along with the pictures I am exhibiting. The answer for me to the question ‘why paint still life?’ Is the same as to why paint at all – it’s all about trying to recapture and understand the excitement of the first moment of seeing the image. 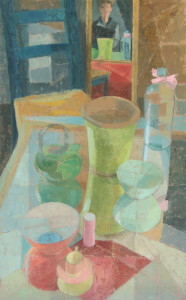 With still life this sometimes takes the form of a conscious construction, as in ‘Three Points of View’. In this painting I wanted to play with the distortion and abstraction mirrors made of the gorgeous Veronese pink and greens of the various circular objects I had assembled. At other times it is a fleeting image that cries out to be caught and made permanent, sunlight falling on my daughters primrose yellow Doc Martens is that kind of image.